A Fantastic event too place yesterday lunch time at Children’s Palace in Shanghai. VERTU‘s new launch of their new mobile phone system and 2nd generation of handsets. 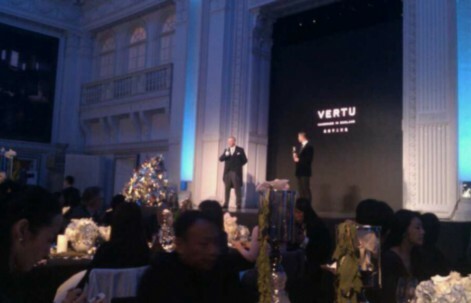 There have been over 70 guests who are specially invited VVIP and many of them are already VERTU customers. British Butler Institute Mr Bonell was specially invited to MC the event with TV anchor Teddy Xu . The president of VERTU has said with The British Butler Institute involved there are much richer flavour of true British Style for the event.